I don’t think the quill picture was meant to imply primitive. And generally it isn’t – apart from the browser. And it is just mine, or so say the rest of the world. 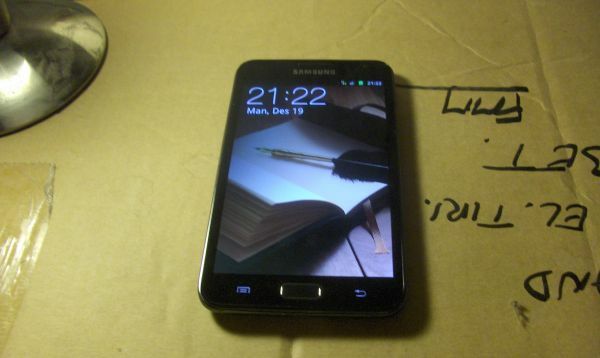 I bought a Samsung Galaxy Note datapad (large mobile phone / small tablet). Â After all, it is the kind of invention I wish the future to have. I am known to happily lose money to support something that fits in my vision of the future, such as e-books (before they became popular), Â speech recognition (before it became good) and neural activator control (which never became popular, I’m afraid). Oh, and SSD-only netbook. Android smartphone. And now this, a thing that is half smartphone and half pad/tablet. I don’t have extreme qualms over losing money on it, in that perspective. But I’d like something in that price range to work. Or if not, I’d like to know why. I am not that fortunate. But as with so many things in my life, it just might be a message from the Author. 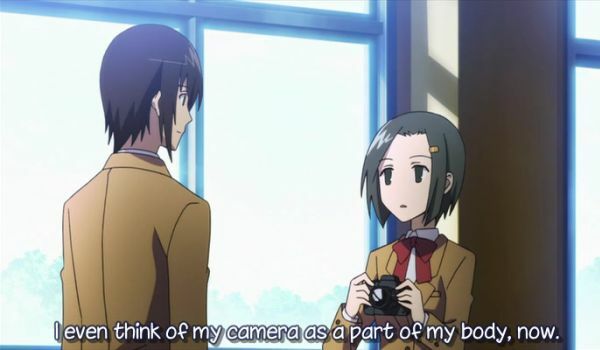 That’s what happens when you’re a … well, not exactly Main Character I hope, but a viewpoint character at least. Â Like the weird clockwise dying light bulbs I recently wrote about. Not quite a miracle, but kind of suspicious. And of course there were the long, long string of strange coincidences when I bought the original Galaxy Tab. In comparison, this is very simple. The browser does not work on 3G. It works like a charm on Wi-Fi, even if the Wi-Fi is actually another tablet running in hotspot mode. Conversely, when I use the Note as a hotspot, it happily provides my desktop with all the bandwidth it needs to power two simultaneous browsers working simultaneously. But it cannot keep its own browser from timing out. That is a bit absurd. In all fairness, once in a while I get a page up, but it can take half an hour. And it is not specific to the internal browser (which gets high praise by reviewers, who evidently don’t have the same problem). I tried with Opera and it was, hard as it is to imagine, even worse. Once again, it was very happy to work on Wi-Fi. I have seen no mention of this in any review. It may be particular to my machine, although that seems strange, given that other applications work fine. It may be a problem with the ISP (NetCom, a Nordic Telecoms company). Or it may be divine intervention, given that I am evidently now a Very Important Person. At least as far as electric things go. Let’s hope this doesn’t spread to the rest of my computers. Oh, and I have not lost a tooth this time. Just a filling. Dentist appointment tomorrow at 10:30. I may not quite think of my mobile phone as part of my body, but it is roughly on the level of pants. I definitely don’t want to leave home without it. I have continued my inquires into the latest crop of Android phones. As a Google person, this seems to be the natural segment for me. There are a couple applications that I would have liked that are available on the iPhone but not on Android phones, chief among these Questia, the online library. But for the near future at least, I will probably have plenty of reading without it. Â And unlike the pad / tablet segment, the price difference on mobile phones is distinctly in favor of Android. And the Neo is indeed a thing that may cause geek arousal. Running Android 2.3, and with a 3.7″ display with… What? You don’t care? Well, that’s OK too, because I am probably not buying it. While reading reviews on the Xperia Neo, I found mention of a Huawei Titan, alias Huawei U8800, alias Huawei IDEOS X5. It runs the previous version of Android, 2.2, and the camera is more like last year’s model (5 gazillion pixels instead of 8). But it is around 2/3 the price. Or in other words about half the price of Xperia Arc, Nexus S and I think one more that I have forgotten. Â That means I can buy this one now, and still have the money to buy whatever holds that niche next year, when Android is 3.x and pigs can fly. Or at least perhaps speech recognition actually works on cell phones. I am cutting costs another place too. 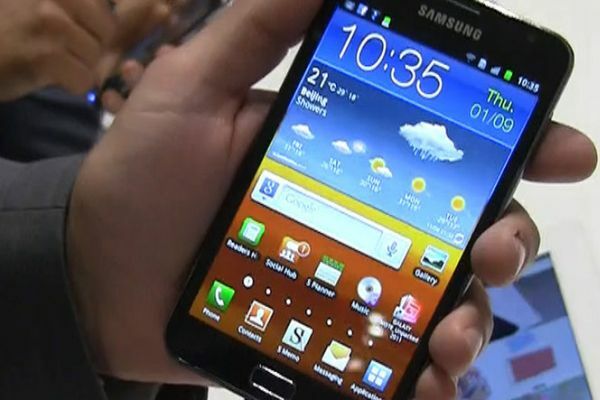 Well, too and too – it may be a stretch to say that buying a new mobile phone is cutting costs. But anyway, I have closed my account at the online game Age of Conan. Â It is a technically excellent game, and it is Norwegian, and it has taken some undeserved (in my opinion) flak for its lack of content during the first month or two. Â There is certainly a lot of content now. But it is simply too evil for me to enjoy. The way my life is pointing now, I have been finding the game less and less palatable. Â I have not played it in months, and before that there were some more months. So, bye bye Age of Conan! Still keeping the 4 City of Heroes accounts though. ^_^ Even though only two of them are played with any regularity. We’ll see how things work out. I suppose for one day I can write about something that is NOT a pain in the @$$. Â My new mobile phone (or cell, as I believe Americans still call them?) definitely qualifies. At least unless you try to type Scandinavian or other accented characters, which was a slightly nightmarish experience, albeit in the Kafka style rather than Dante and the burning sensation. Â Luckily, I have very little to say that I don’t say in English. Â When you are as weird as me, using a language with billions of readers is your best bet of being read at all! To be honest, I was considering an Apple iPhone 3GS. They are cute, they are easy to use, and there is a lot of software available for them. Also, your girl next door knows them inside and out if you should get stuck (or just want an excuse to talk to the girl next door, for the male reader. Or writer.) Â It so happens that the newest model was set to be released in Norway this past Friday. On the other hand, I don’t really like Apple. Â I have used their iTunes and found it clumsy, swollen and overbearing compared to Amarok for Linux, which I grew used to over the last year. I am also not happy with Apple several times a week trying to make me click “OK” on installing more of their software which I have never asked for, not to mention that they have actually installed a couple smaller programs without asking. Â (Mobileme and Bonjour. Well, they may possibly have been mentioned, either by name or some generic description, deep in the legalese of the iTunes user agreement. I know I have never asked for them nor explicitly allowed them to install.) Â This, and the frequent updates that all need to restart the computer, earns Apple a vote of Not Very Much Confidence from me. I know it is popular among girls however. Â I guess we just value different things. Even so, it was a near miss. Â There just did not seem to be other phones that were close to my concept of the Datapad. Â Regular readers may remember that I have written about this repeatedly in the past, most detailed in the entry Datapad 2010, written in the year 2000. It is an almost frighteningly prescient description of the iPhone. Or, as it happens, the HTC Hero, the newest and most powerful flagship of HTC’s series powered by the Android operating system made by Google and the open source community. Like its smaller predecessor HTC Magic (Google Ion in the States), this gadget comes with some Google functionality built in by default. If you have a Google account, as I have, you can get your Gmail right to the phone, and check your Google calendar everywhere. You can read your favorite news sources through Google News.Â And of course you can always search for whatever phrase you need the final word on. But not content with Google, the phone also comes with one-touch access to Twitter, Facebook, MySpace as well as Ebay and Amazon.com, not to forget Wikipedia. Â I’m actually on Twitter, although it is mostly a symbolic presence, telling whether or not I am at work and such. (I block any followers whose handles I don’t recognize, btw.) Â Facebook? Â Don’t you need an invitation for that? Â I am not sure what I would do with it even if I had it. Â I use LiveJournal, which I had to add manually, but it was not a pain in the posterior to do so, once I had typed a couple hundred characters altogether so had an idea of how to hit the on-screen keyboard correctly. How many ways does it connect to the Internet? Â Not quite enough. I want it to also access the Internet through a PC when connected by USB cable to synchronize. Â It does not. Boo! You may think you don’t need to when you actually have a computer right there accessing the Internet. But the thing is, I would want to quickly refresh Twitter, mail, calendar etc before unplugging and moving away from the computer. Â I can’t see any way to do that. On the other hand, it does connect to wireless networks that are either open or to which you have a WEP key. And it does connect through the various mobile-phone networks normally available. Â I am switching to a mobile broadband plan for it. Â It is actually probably more expensive than just paying for actual use for me, since I have wireless at home, but having a fixed predictable expense is still a way to make life less complicated. Â I have had enough of the time of surprising phone bills. Sometimes surprising me with hundreds of dollars back before the age of broadband. Â Simplicity over thrift, at least on a small scale. While you can’t use your computer to give your phone Internet access (as far as I can see), you CAN use your phone to give Internet access to your computer. Â If the speed is good, I may well do this and do away with the wireless broadband modem on the laptop. Of course it comes with a built-in GPS receiver so you can find out exactly where you are, should you get lost. Â (Just combine it with Google Maps, which covers most of the civilized world and probably then some.) This may serve me well if I am healthy enough to take that trip to Oslo in 10 days. Â Though I am not sure about that right now, and what with the swine flu… but that’s not today’s topic. GPS requires free sky and takes a toll on the battery, but it is there when you need it. And when you need GPS, you REALLY need it. Â It may come down to either that or asking someone for directions, and a man can’t do that. Â It hurts us in the man-thing. Anyway, even without using the Global Positioning System, you can get your bearings using data from the mobile network base stations. Â It also gives you the local weather forecast. Oh, and you can probably use it to talk with, too. Â I haven’t tried. Who in their right mind would TALK to their telephone? Perhaps one day when it can automatically transcribe it and post it to Twitter. Oh, and about that iPhone 3GS? It was sold out the first day. Â I strongly suspect this was arranged by only supplying a moderate quantity, so they could get the “SOLD OUT WITHIN HOURS” headlines. Free marketing, and not even obviously from them! 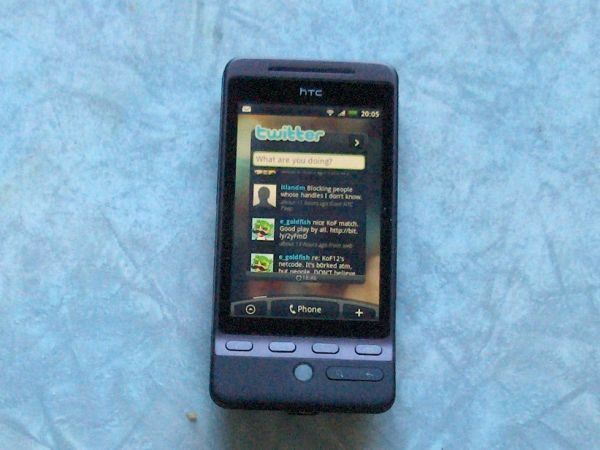 Â Anyway, by the merest of coincidence the HTC Hero came into the shop the very same day! Â Providence, surely? In any case, the Datapad 2010 has arrived, a year early. Â See you on the bitstream!